This year’s Festival of Opinion Culture shall not remain only within the perimeter of the Vallimäe Hill in Paide, but will expand even further to the town’s central square and Tallinn street in partnership with the Estonian Academy of Arts. Katrin Koov and her students of architecture and urban planning from the Estonian Academy of Arts have suggested a preliminary vision of new locations within Paide to where the festival could extend its activities. 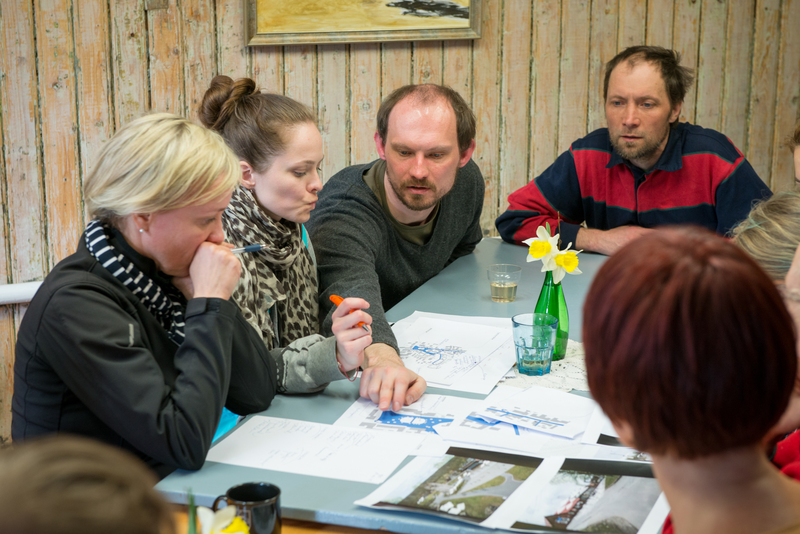 After an active brainstorming session in Paide last Saturday, the festival’s organising team came up with some ideas on new locations for discussion groups and which activities would be best suited for Paide’s main street and the central square. The new discussion group areas were also given appropriate names – expect to hear thought-provoking debates at places such as Kooliorg (School Valley), Hekiaed (Hedge Garden), Keldrimägi (Cellar Hill) and Konvendimüür (Convent Wall).